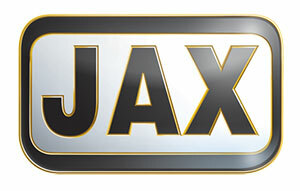 JAX is a manufacturer and global supplier of the highest quality industrial, synthetic and food-grade lubricants for machinery and processes. JAX is a wholly-owned American company that has become a global player in food-grade lubrication with international distribution and the most technical expertise and experience in the industry. From formulating new lubricants for unique new processes, to rushing emergency testing through our independent RPM Laboratory, it is hundreds of the little, and not-so-little things that separate JAX from other lubricant companies.